Put peas and oil in a food processor and pulse until combined. Spread pesto like peas on whole wheat bread. Grate or shred carrots and sprinkle on peas. 1/3 cup light cream cheese. Mix veggies with the cream cheese and spread on whole wheat bread. Melt mozzarella onto bread over a griddle or in the microwave. Top with the roasted red pepper. Spread hummus on bread. Top with baby spinach and cheese. 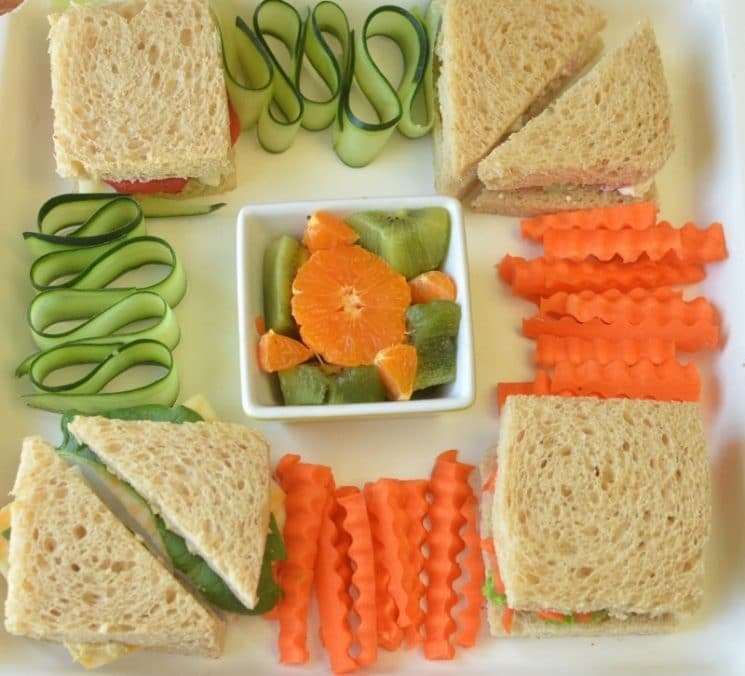 One of the keys to getting kids to eat veggie sandwiches is keeping them simple. Piling veggies onto bread, that hardly fits in your kids hands, let alone their mouth is not easy. Also, making sure the veggies you use are soft and tender enough to chew. Shredding the carrots, roasting the pepper, or dicing the cucumbers helps! 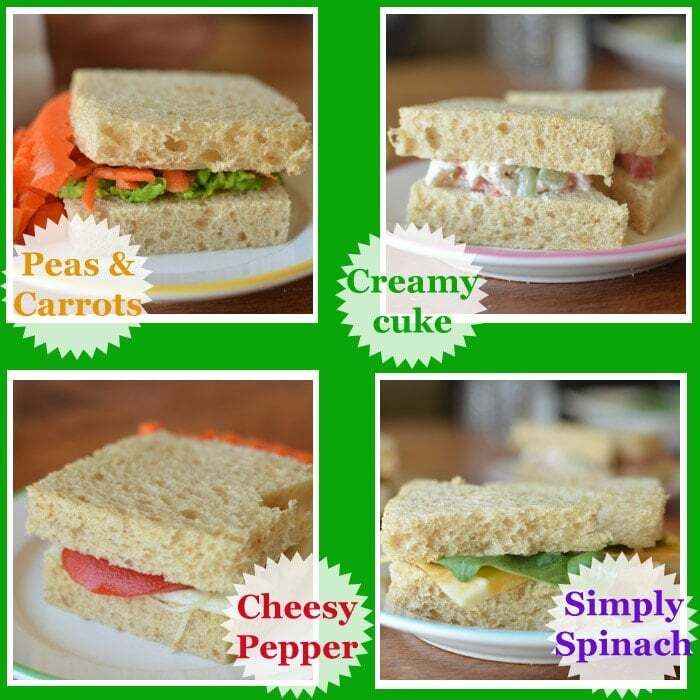 Are there any veggie sandwich combinations your family likes? 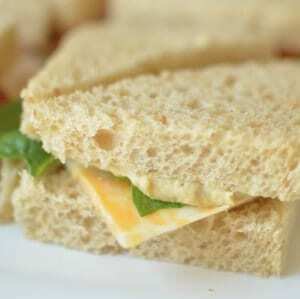 I do a lot of sandwiches like these except I spread it on a whole wheat tortilla then roll it up. For smaller kids, cut the tortilla in half once it is rolled up and give them a half. For my bigger kids they are starting to eat a whole one. Even my picky one loves veggie sandwiches this way. “if frozen, thaw first”. ahahahahahha!! 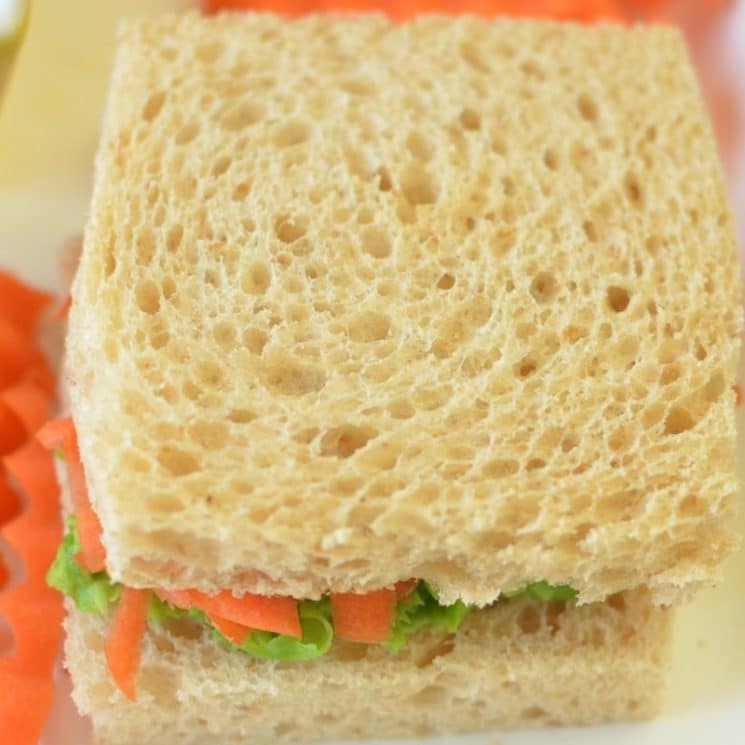 crunchy pea sandwich. priceless. I love my homemade guacamole (mashed avacado, little lemon juice, some salsa and garlic salt) spread on toasted bread and add sliced tomatoes, drizzle a little honey and pickles. Yum yum! My kids however have never tried it. I?ve learn several just right stuff here. Definitely worth bookmarking for revisiting. I wonder how so much effort you put to make such a great informative site.